Image via USC Architecture Dept. 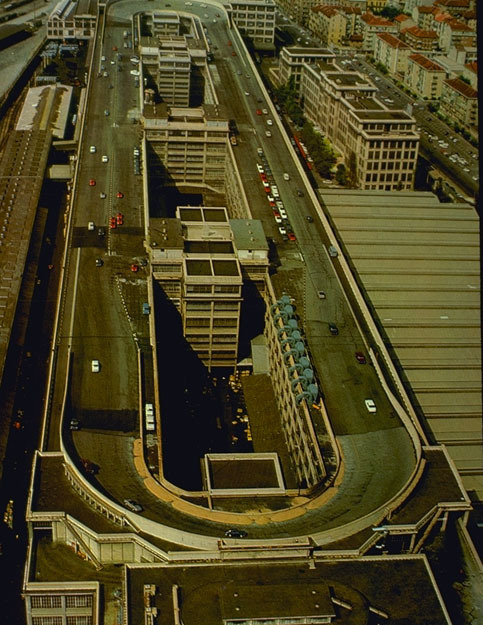 Fiat Automobile’s Lingotto Factory in Turin Italy. I would never have imagined the test car track for a car company would be on the top of a roof. Very cool.